Gaskill Realty is pleased to feature Adara Spa in Downtown Raleigh… and its Emmy award winning owner Sundrae “Sunny” Miller. Yes, that’s right. Prior to founding Adara Spa, Sunny worked in broadcast news in and around Tampa Bay and the Research Triangle covering national and international news. In 2001 she won an Emmy with our very own WRAL TV station. Now, Sunny and her dedicated staff bring the same passion, creativity and joie de vivre to Peace Street. 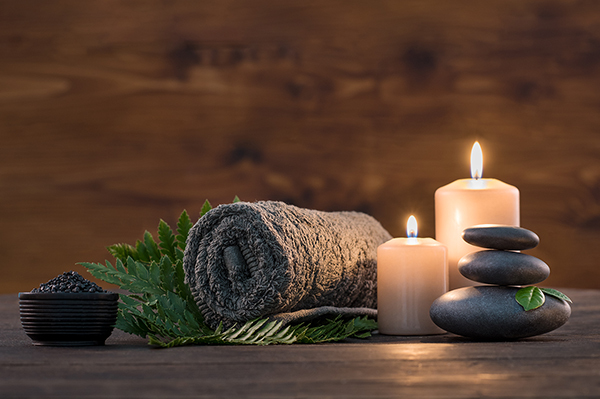 Devoted customers talk about having an organic spa experience at Adara, where guests receive first class treatment and leave knowing that their day just became a little brighter. Guests love the “family” atmosphere captured by both the ambiance and the greetings from staff the moment you walk in. During an appointment at Adara, you can pamper yourself with massages, facials, waxing, hair removal, manicures and pedicures done by certified and experienced professionals. But it’s the personal touch and attention to detail that has made Adara Spa a cornerstone business in our community since 2005. Your wish is Adara’s command… and the spa wants to make sure both women and men of all ages receive a personalized and memorable experience. It is not uncommon for guests to be on a first name basis with staff and book appointments together with friends. Adara prefers that appointments be scheduled in advance, but walk-ins are always welcomed. Either way, upon leaving you will feel simply fabulous. Adara means “beautiful,” and Adara Spa wants to share beautiful experiences and create exceptional results for its cherished clients. In keeping with this tradition, Adara only uses the highest quality skin care products that are effective, natural and gentle. Some of them include Image Skincare, LCN USA, Arbonne, and Repechagê. February is the perfect time to show yourself (or someone special) a little love! Enjoy 10% off any service by mentioning Gaskill Realty. Limit one per customer.